Based out of Fremont, California, Nature Boy Designs brings creativity and innovation to deliver accessories that will surely please many fly anglers. Keith Westra is the mind behind the operation, and a critical emphasis behind his designs is functionality. 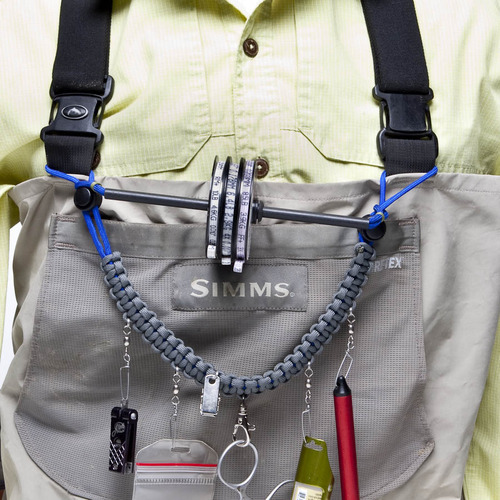 Let’s face it: Managing the many accessories that fly fishing demands is a pain. The constant evolution of vests and packs please some but reveal that many anglers still aren’t satisfied. For many of the unsatisfied, the product offerings of Nature Boy Designs should raise eyebrows and wet accessory appetites. Among the various products, Nature Boy Designs offers versatile lanyards that adapt to the changing conditions and situations that anglers face. 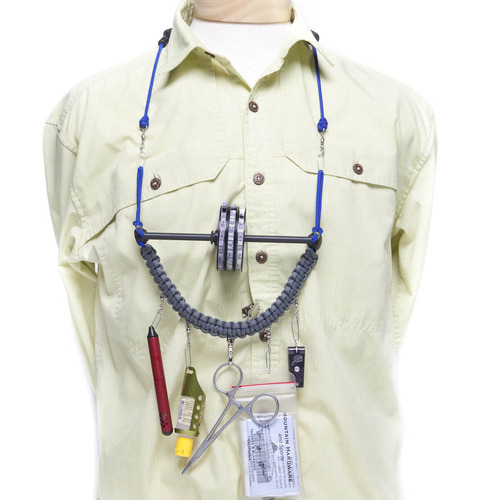 For example, the lanyard above can be worn as a traditional lanyard or connected to wader straps to cut down on the clutter when wearing waders. 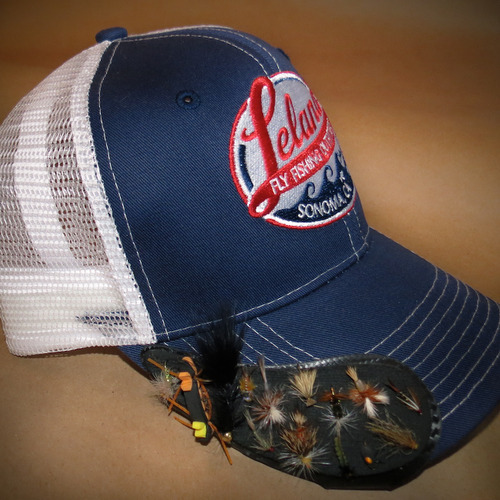 Nature Boy Designs also offers rod tubes, and a newer product, the Hat(ch) Patch, allows anglers to stick flies to a low-profile attachment for baseball hats. This is an excellent alternative to putting wet flies back in fly boxes (often damaging the fly box), wrecking hats with hood, putting used flies in your pocket, and so on. For rod tube seekers, Nature Boy Designs rod tubes feature the artwork of Eric Hornung, owner of Anti Hero Electric Tattoo, to make for a unique design on rod tubes. In addition, Nature Boy Designs makes a range of other products, including hats and t-shirts that offer both attractive and even humorous fly fishing-related images. To check out more from Nature Boy Designs and their innovative line of fly fishing accessories, please click here. Disclosure: Nature Boy Designs is in a professional relationship with the Fly Fishing Guide Directory, LLC and the Venturing Angler. Though potentially benefiting from this relationship, we do not post what we do not believe to be true. To read more, click here.